You’d have to look pretty far and pretty wide to find a band who’s been weirder, for longer, than Stinking Lizaveta. 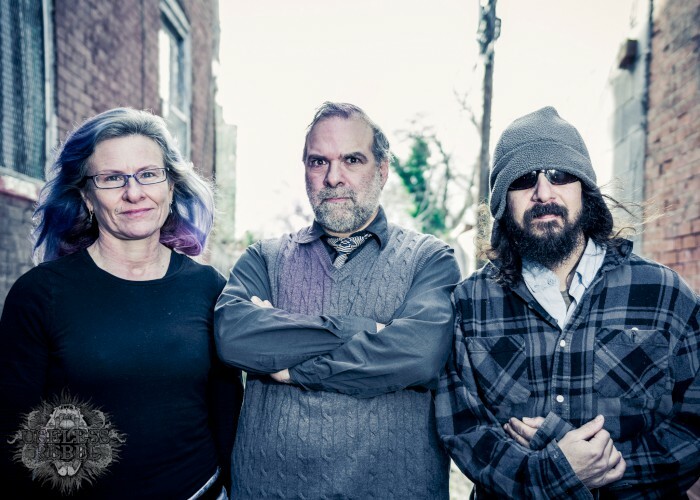 Much farther and wider than Philadelphia, anyhow, which is from whence the instrumentalist trio have been emanating their one-of-a-kind progressive blend of rock, jazz, punk, metal and doom for more than 20 years — their first album, …Hopelessness and Shame, released in 1996 preceded by a few earlier singles. The three-piece of founding guitarist Yanni Papadopoulos, founding upright electric bassist Alexi Papadopoulos and founding drummer Cheshire Agusta have established their own wavelength over the course of that time, which is to say one expects a certain kind of madcap adventure into blinding turns and near-freneticism when playing a Stinking Lizaveta, at least as part of the overall offering, but right up to their eighth album, Journey to the Underworld — their second for Translation Loss — they retain an evident glee in the experimental process. That shows itself in the nine-song outing’s overarching progression as much as within individual tracks as it scorches through side A cuts like opener “Witches and Pigs” and the thrashy “Six Fangs” in order to begin to introduce more contemplative textures on “Blood, Milk and Honey” that will flesh out across the subsequent title-track, the spacious “Love Song for Jusu,” the acoustic-strummed “A Stranger’s Welcome” and the brief, classic prog outro “Allegro” on side B. Produced and mixed by Stephen Berrigan (Paul Webb co-produced) with a master by Bruce Leighton and suitably-odd cover art by David Gunn, Journey to the Underworld is the first Stinking Lizaveta album in five years since the Sanford Parker-produced 7th Direction arrived in 2012 (in Europe via Exile on Mainstream) following up 2009’s Sacrifice and Bliss (review here). Accordingly, it’s little surprise the non-vocalized outfit seem to have so much to say within Journey to the Underworld‘s utterly-manageable 36-minute span. A principal element of their work has always been an utter refusal to take up the mantle of pretense to which their technical acumen entitles them. They could be real dicks about being so good, but they’re not. Instead, from “Witches and Pigs” onward into the guitar-led trad-metal-gone-noise of “Chorus and Shades” (think alternate-reality Slough Feg) and seeming to even out over the conversational course of “Sharp Stick in the Eye” — each measure seeming to argue with the one before it — Stinking Lizaveta keep their heads about them even as those of their listeners set to spinning. That aspect of their personality, a kind of sonic humility, has been consistent in their studio output over the years, and the clear-but-natural recording from Berrigan here presents it well, but that shouldn’t be taken to mean “Chorus of Shades” or “Sharp Stick in the Eye” — which thuds to a finish just in time to let Agusta‘s drums pick up with the start of “Six Fangs,” soon to depart into thrashier terrain — somehow lacks dynamic. If anything, Journey to the Underworld becomes richer for the here-it-is-style presentation functioning as an implicit dare on the part of the challenging material itself rather than the band’s showiness, which again, they don’t have when they easily could. As the first half of the album transitions into the second, “Blood, Milk and Honey” follows “Six Fangs” as the centerpiece of the tracklisting and works in three stages. The first of them is a mid-paced chug, nodding, relatively straightforward. The second is a wistful acoustic-led turn that sets on a linear build eventually topped by a shredding solo and insistent chug, impeccably mixed. The third is a return to the opening progression following the righteous payoff to the prior build. All of this happens in under five minutes. It is precisely this kind of efficient, unpostured feel that sets Stinking Lizaveta and the rest of the planet apart. Following “Blood, Milk and Honey” — which, indeed, seems to represent all three — Journey to the Underworld shifts into further sonic expansion as the 6:56 title-track cuts back on tempo in order to move more patiently through a course no less complex than anything that has preceded, trading between lurching rhythm and more atmospheric sprawl. The latter will also be a factor in “Love Song for Jusu,” which is shorter and, fitting its title, less grimly mooded on the whole, but still comes to a wash of noise in its midsection before a sweetness of guitar rounds out. Of particular note in terms of the recording is the tone of the acoustic guitar, or quiet electric, or whatever it is, that Yanni is using. Listening to “A Stranger’s Welcome,” one can hear the strings responding to his fingers, to the strike of his pick, and the song comes that much more to life for it. As part of the closing duo with “Allegro” subsequent, Journey to the Underworld finds emotional resolution in “A Stranger’s Welcome” as well, and as they finish with a sudden crash and burst of noise, one can hear laughter coming through the room mics. This serves as an inherent reminder of the human core behind the voyage on which Stinking Lizaveta have embarked throughout, and if indeed it’s an Underworld to which they’re headed, it’s one that comforts rather than terrorizes — defying, as ever, the cliché in favor of more individualized expression. Their work has never been and probably never will be for everyone, but that doesn’t make it any less special, and as they end the longest drought between full-lengths of their career — Agusta was involved in a significant hit-and-run in 2012, it’s worth noting — they do so by only continuing to broaden their technical, emotional and aural reach. 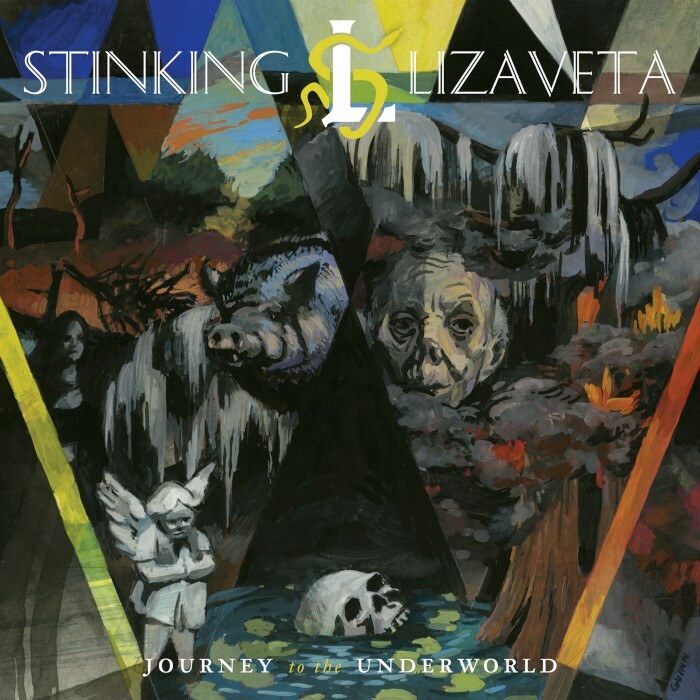 I almost never use the word “unique” to describe bands, but Stinking Lizaveta earn that and more on Journey to the Underworld, and remain an underrated treasure unto themselves. This entry was posted	on Friday, February 3rd, 2017 at 9:10 am	and is filed under audiObelisk, Reviews. You can follow any responses to this entry through the RSS 2.0 feed. You can leave a response, or trackback from your own site. Well this is uncanny. I was literally just wondering about this band wondering what had become of them…happy to see they are still going strong. Thank you for the review. Seen them live at last year’s Desertfest in Berlin. One of my personal highlights of the whole weekend. Totally blew my mind, I’m still amazed by their performance to this day. Can’t wait for the new one.